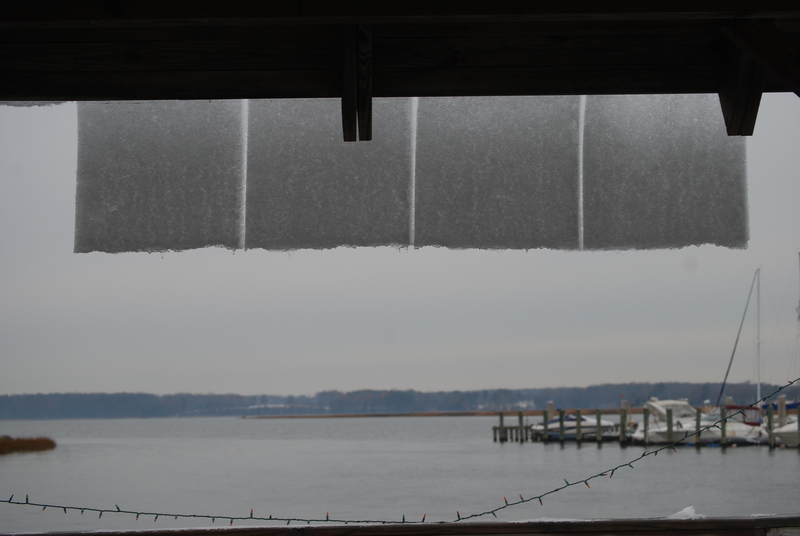 On Saturday, my husband glanced over at the gazebo at the marina behind our house. And being the eagle-eye that he is, he noticed this. 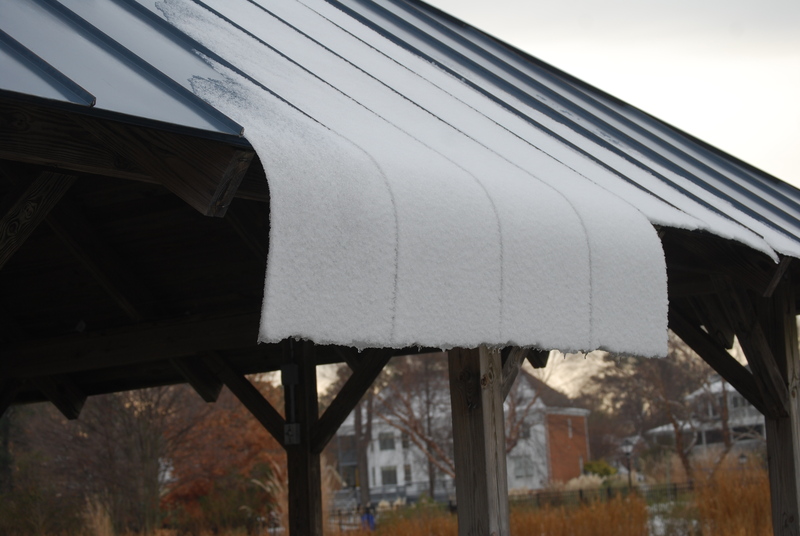 And he commented that it was very unusual, and how the temperature had to do this and do that for that little section of snow to be sliding off the roof, but then stop before it slid off completely. So we jumped in the car and drove over to the marina, where I braved the icy walkway to get a closer shot of this rare occurence. I couldn’t stop taking pictures of it. I even stepped under the ceiling of the gazebo and took a picture looking out. It was a snow curtain! But here’s where things get even more interesting. In our haste to get over to the marina as quickly as possible, I had only taken my long lens to the camera. So we decided to drive back home (it’s about a 5 minute round trip) to get the other lens. 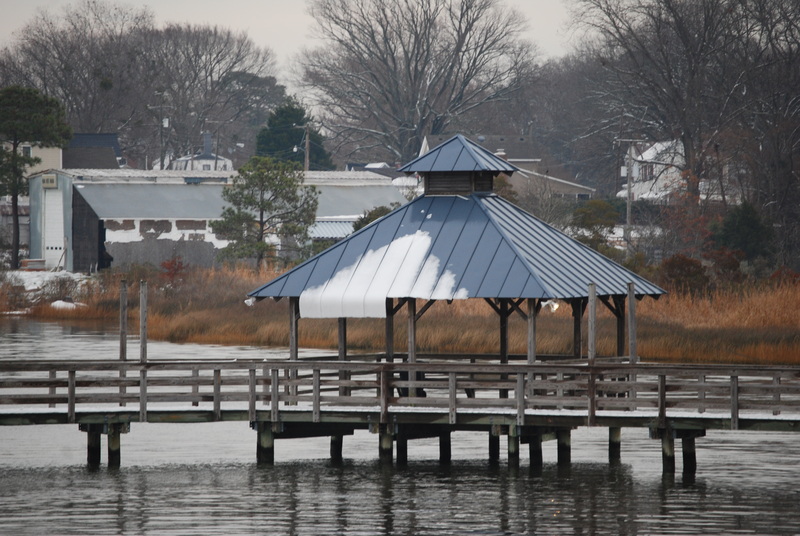 As we were leaving the marina, a man and his dog were walking out toward the gazebo. 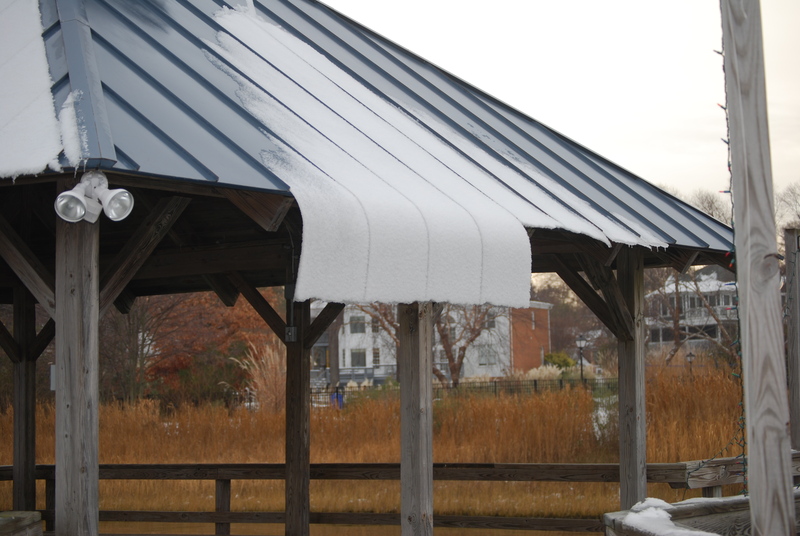 When I got home, I looked at the gazebo, and the snow curtain was gone from the roof! I don’t know if it slipped and slid its way off on its own. Or maybe the vibration of the man walking made it fall. Maybe he just couldn’t resist knocking it down…. But here’s where I fail as a blogger: I didn’t get a picture of the gazebo with the snow curtain gone. Please forgive me. I’m not accustomed to such a strange phenomenon.